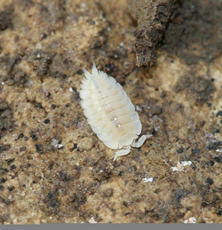 Size up to 4mm. 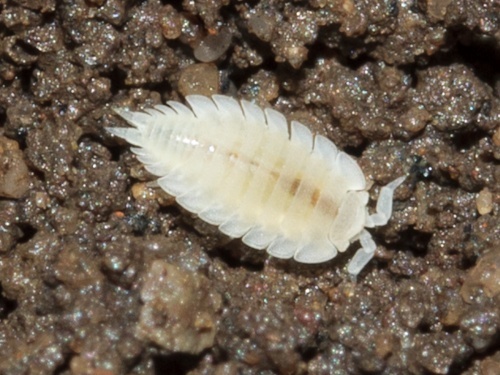 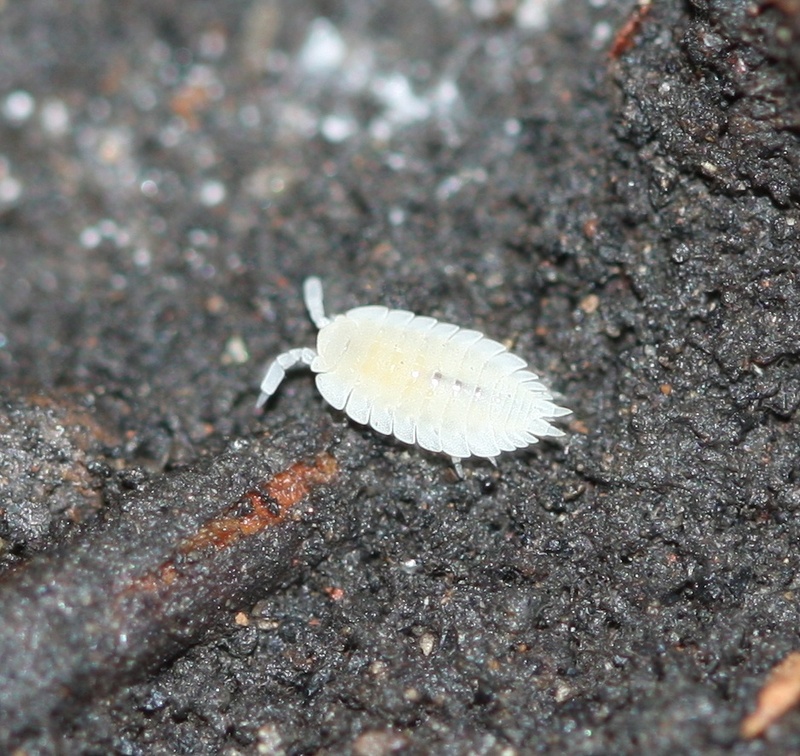 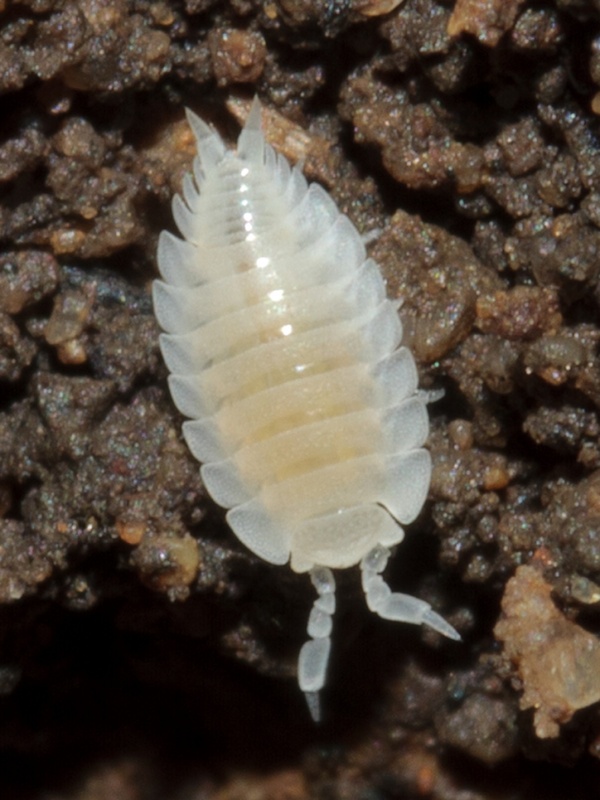 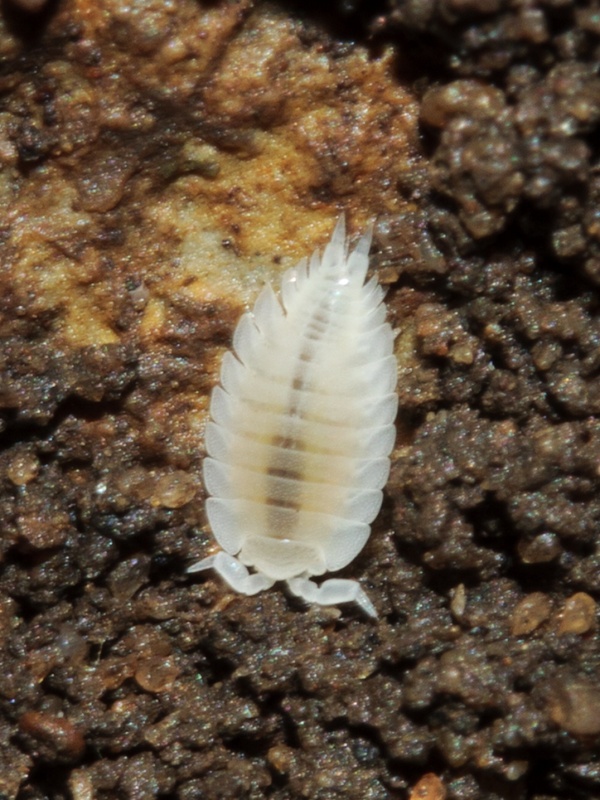 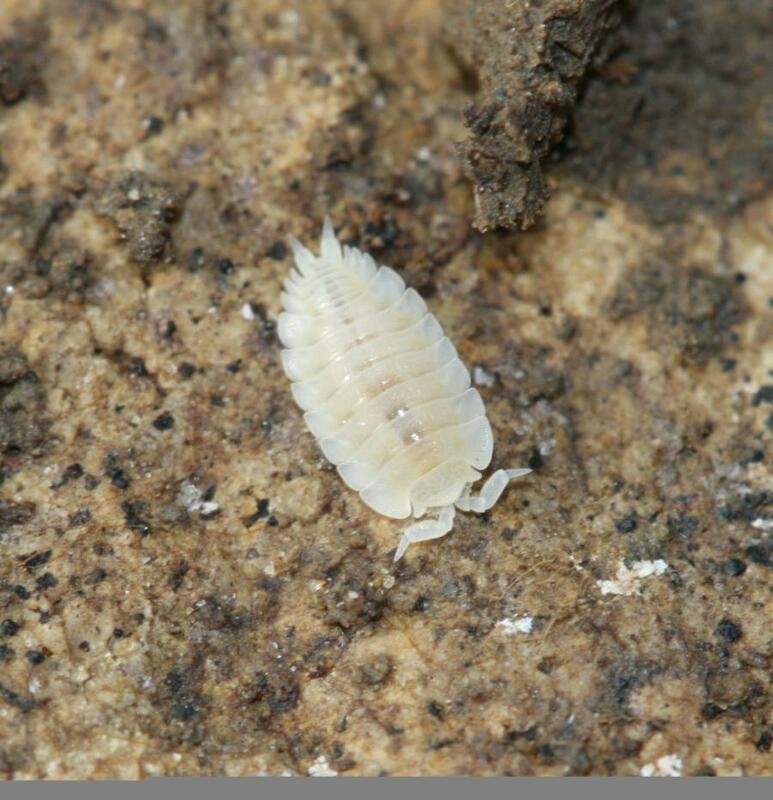 Ant woodlice are completely off white, perhaps due to their underground lifestyle in ants nests. 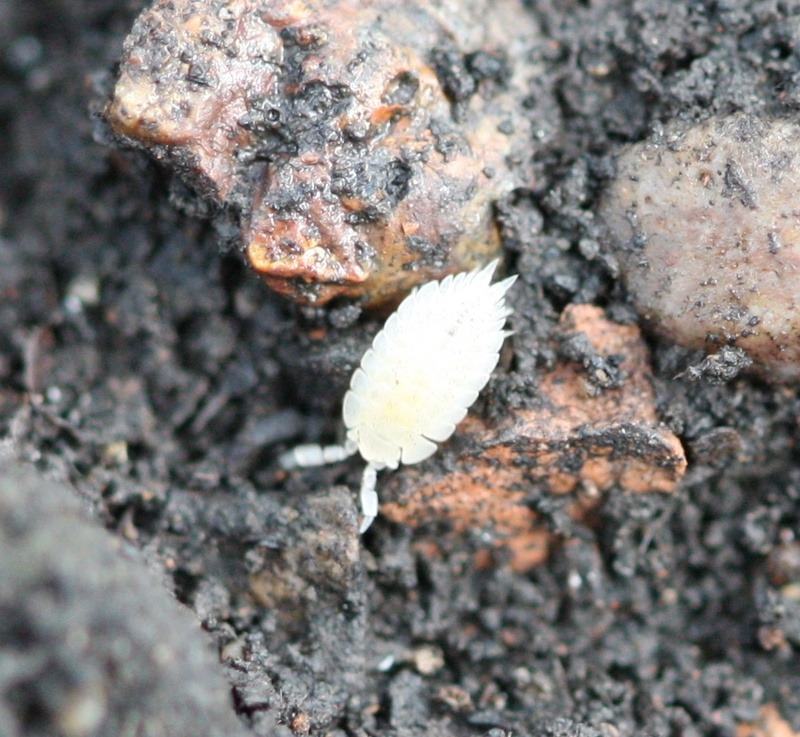 The ants seem to be quite comfortable sharing their homes with these ghostly white miniature woodlice. 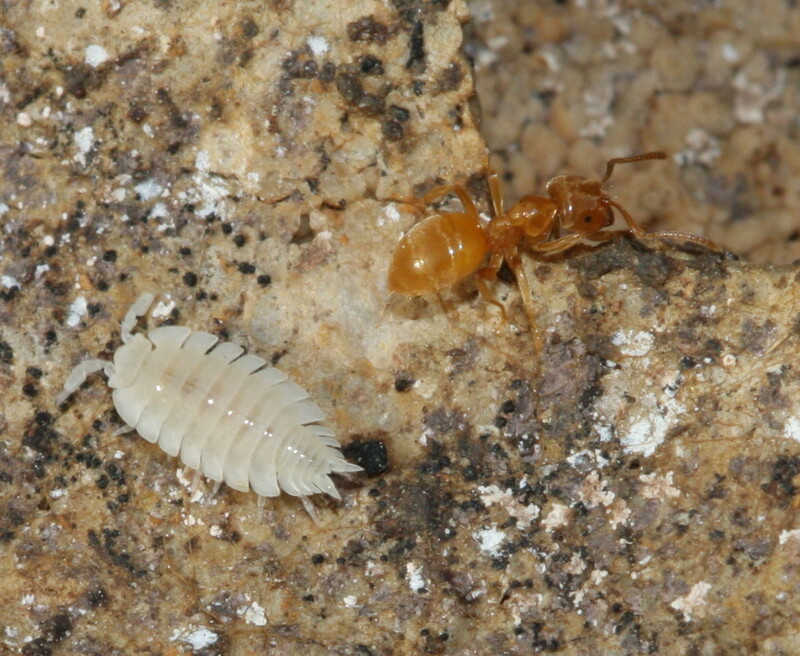 Nearly always found in the underground nests of ants. Tolerated by the ants possibly because the woodlice keep the nest clear of droppings. 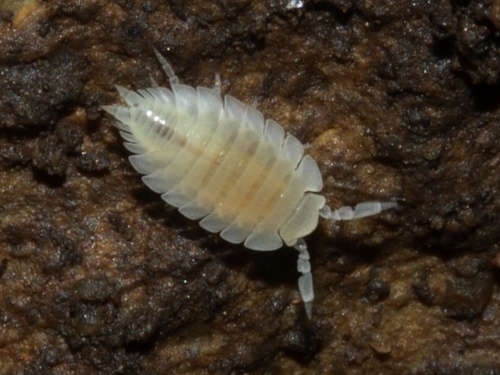 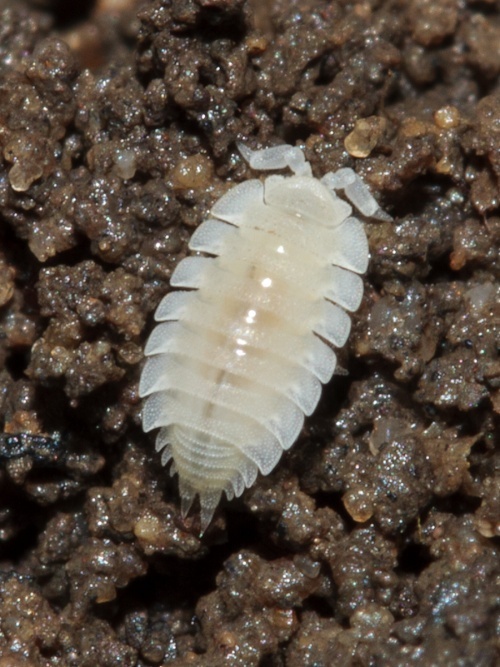 The dark underground environment does not seem to hinder the woodlice, and it is thought this could be because they are blind. Fairly frequent in southern Britain less so further north.